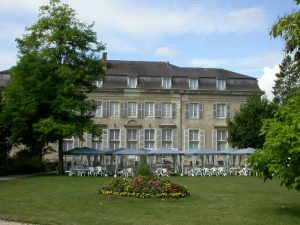 For the last 20 years we have been organizing top of the range language summer school programmes on our campus in Troissy, France. Situated just one hour from Paris, around 8000 children to date have come from some 60 different counties to our school to either learn or perfect their French. Our top priority is to ensure the security and wellbeing of your child. The idea behind the Studious Holidays : FLE / FFL is to allow your child to discover the world with a fresh pair of eyes, to explore the many ways of learning and to discover more about themselves in a close family environment; safe and friendly. What makes our immersive French summer camps top of the range is our unique campus. Our 5 hectare tree-lined campus provides an authentic green space to give your child the freedom to explore and to learn in the perfect conditions. Quality accommodation: Spacious rooms with separate buildings for girls and boys. High security: 5 hectares of land monitored by CCTV and access to all buildings by electronic badge. Varied and balanced meals all prepared on site, respecting the dietary requirements of each individual. Learn French in France through lessons, activities and outings. One week at the Studious Holidays : FLE / FFL is composed of 15 hours of lessons as well as outgoings to Paris and neighbouring towns such as Reims and Epernay. Our teaching approach for the learning or improving of French relies heavily on the organisation of sports. Learning a language is more than just acquiring the 4 linguistic competences (reading, writing, speaking and listening). Communication is a symphony of these skills plus many more such as gestures and cultural references.